Happy Friday everyone! I'm ready for a busy weekend of swimming time trials and a girls night to watch the Oscars. Here are some of my favorite things from the past week! We celebrated our daughter's birthday with family last weekend. One of my sister-in-law's hobbies is making cakes. I think she should open a cake shop but the hobby she loves more than cakes is writing. She has published one young adult novel (you can read my review here) and has the sequel coming out this spring. My daughter gave the Hubs and me this cute little mason jar filled with 20 reasons we are the best parents ever for Valentine's Day. There is nothing better than a homemade gift and this was such a clever idea! Then I got these beautiful roses from the Hubs that brightened up my day! We usually don't give each other gifts on Valentine's day so this was a nice surprise! Our cat loves to knock over vases to drink the water so I have to use this "cat proof" vase that has a lid with slots cut out of it. Only problem is you have to cut the stems pretty low to use it. Monday started out with a four hour conference call on the new applicant tracking system we are implementing at work. I don't know about you, but my attention span tends to dwindle around hour two. My co-worker Lori came over to work with me so we could help each other stay focused. I only had to bribe here with chocolate covered gummy bears! These are an addicting treat and I made sure I had plenty on hand. An Erin Condren life planner had been on my wish list for awhile and I was lucky to get one for a Christmas gift from my Mom. I use this for blog planning and organizing my life. I still use a digital calendar for work but I feel better organized when I can write things down. This calendar has both monthly and weekly spreads, sections for goals, to-do lists, meal planning, exercise tracking and notes. You can check it out using my referral link here and when you register, you will get $10 off your first purchase! Awww thats the cutest! The cake looks really good..
How cute is that cake?! I love it! love those flowers and the cake! 4 hour conference call? ?omg i'd go crazy!! Happy birthday to your daughter and have an awesome weekend. Happy birthday to your daughter! I keep hearing about those planners- may have to try one! That cake is gorgeous and how sweet is your girl for the Valentine's Day gift?? Happy weekend! Such a beautiful cake and a thoughtful Valentine's day gift from her! What a pretty cake and your daughter is SOOOO sweet!! I need to try those gummy bears - I've heard they're really good! 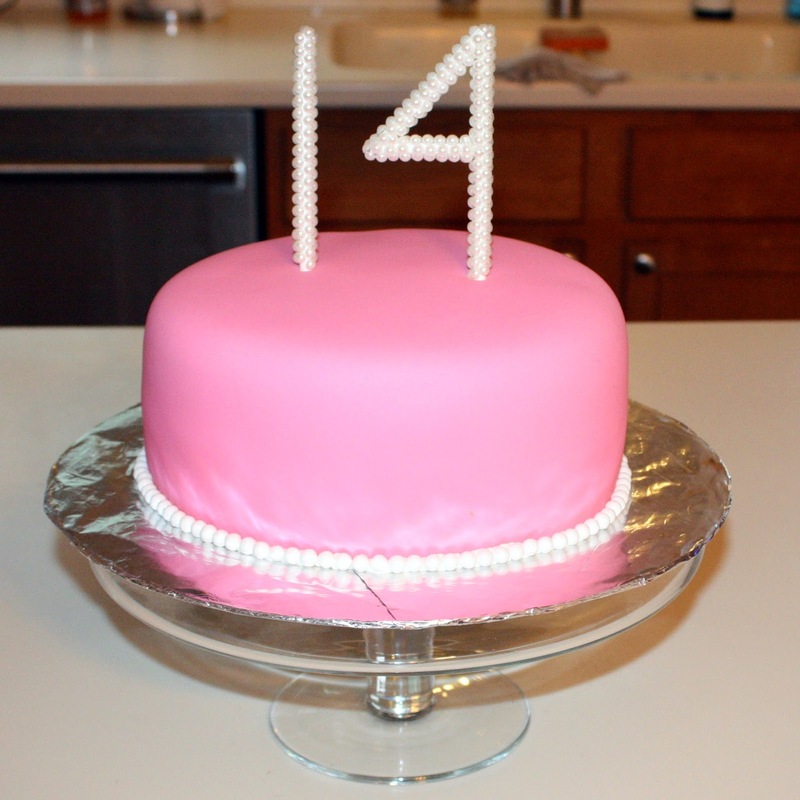 Happy B-Day to your daughter & love the pretty cake and she is a total sweetheart!! That is such a thoughtful and touching idea! Enjoy your weekend Jill!! Such a pretty cake and flowers! I used to have a cat and he would knock over every flower vase in the house too. It drove me mad because I love to cut fresh flowers and bring them indoors and I couldn't. I didn't know that was typical cat behavior. That's interesting. What a pretty cake! I am impressed that it is a hobby for her. I love that your girls made you such a thoughtful present. You seem like such a good mom. Happy Friday my friend! I have never heard of chocolate covered gummy bears before! What a brilliant idea! That gift from your daughter is so sweet. I love her cake, too with all of the pearls on it! Our cats get into everything, too! Stopping by from the link up. That cake is beautiful. And I love a good planner! Have a great weekend !!! Oh my! So much to comment on! That's a gorgeous cake!! Love the flowers!! And wow.. never even heard of chocolate covered gummy bears but I love anything chocolate so i'm sure they'd be great!! have a wonderful wknd! That cake was just so beautiful!!! And what a sweet gift from your daughter - I'd probably get a little misty. Hope you have a wonderful weekend! Thanks for linking up with us again at H54F!! What a great week. . .with the except of that conference call!haha I've never tried chocolate covered gummi bears, but I'm now on the hunt for them. That cake is gorgeous! And so are those roses! I love all the pretty colors! That was such a sweet gift your daughter gave you. How thoughtful! How have I not heard of chocolate covered gummi bears? Hope the swim trials are going well! I am obsessed with each of your favorites this week! The cake looks amazing; the mason jar gift is SO sweet & those gummy bears- yum!! Aw your daughter is the sweetest! That cake is so pretty and elegant and the gummy bears sound yum! The multi-colored roses are gorgeous too. But my favorite I think is that jar idea with all the fun little messages. Ummm, I want that cake. How beautiful! I know, it was almost too pretty to eat! The cake is stunning, almost too beautiful to eat!